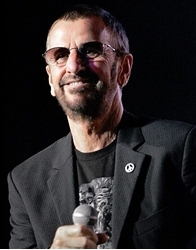 Ringo Starr & His All Starr Band to perform at Stephens Auditorium, first Beatle to do so . Beatles Radio: The Beatles, Solos, Covers, Birthdays, News The Fab 4 and More! Stephens Auditorium is due to host the iconic supergroup, Ringo Starr & His All Starr Band, on Wednesday — led by former Beatles drummer and vocalist Ringo Starr. This will be The All Starr Band’s fourth date of their North American tour, which started not long after recently wrapping up their European tour. The group has been touring for more than two decades, originally forming in 1989. Starr has led 13 different variations of the band, members comprised of rotating stars who hail from other well-known bands. The current version of the band includes Gregg Bissonette, Graham Gouldman from 10cc, Warren Ham from AD and Kansas, Colin Hay from Men at Work, Steve Lukather from Toto, and Gregg Rolie from Santana and Journey. The concept of the rock supergroup is credited to producer David Fishof.